The University of Technology Sydney will purchase electricity directly from a solar farm in the Hunter Valley, in a partnership believed to be the first of its kind in Australia. 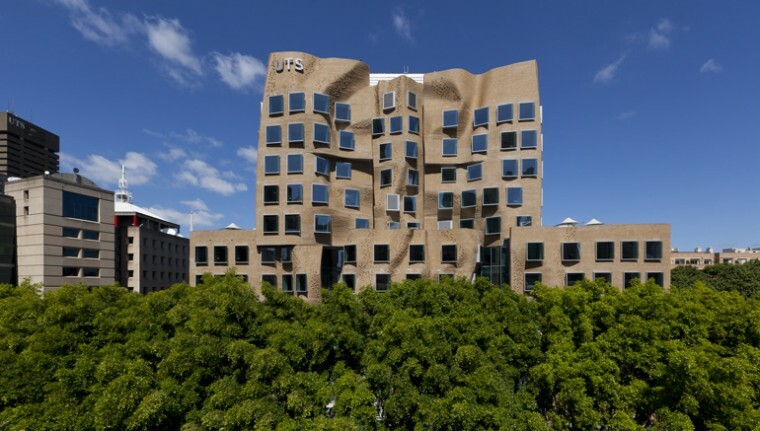 The new model of renewable energy purchasing will see the UTS Dr Chau Chak Wing Building (otherwise known as the Frank Gehry building) source 12 per cent of its annual electricity from the 200-kilowatt Singleton Solar Farm Stage 2 in the Hunter Valley. According to UTS, the partnership is the first in Australia where a power purchase agreement has been signed directly between a large energy customer and a solar farm on an offsite location. “UTS strives to lead in sustainability and new business models can be just as important as new technologies in achieving this,” UTS deputy vice chancellor (resources) Patrick Woods said. He said the university had proceeded with the new business model to further understand how it might work. UTS green infrastructure project manager Jonathan Prendergast said that to get built solar and wind farms needed customers, which had generally been electricity retailers. “This new customer-led renewables model means large consumers can become customers directly of renewable energy operators,” Mr Prendergast said. Other bodies interested in such a move include the City of Melbourne and WWF’s corporate renewables buyers group. The PPA has been facilitated by UTS’s electricity retailer, ERM Business Energy. Might have been nice to mention who is the person representing the Solar farm, as I am sure this person had a large involvement in bringing this deal together..? ?